Find Out About Secret Savings At Tonight's Steve's Deals Seminar! 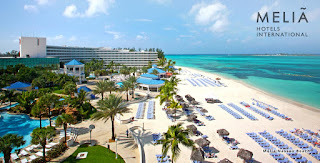 Not only will you find out more about the deals I discuss on my website and be able to ask questions relevant to you and your vacation goals, you'll find out deals that are not given out to the general public, but only if you come to the Steve's Deals Seminar, in Thornhill, tonight at 8pm! Did I not mention it's FREE? If you don't come, you clearly want to overpay for vacations or think you know it all, but that can't be!! Look forward to your registration for tomorrow night! Two days left to sign up for the First Ever FREE Steve's Deals Seminar!! 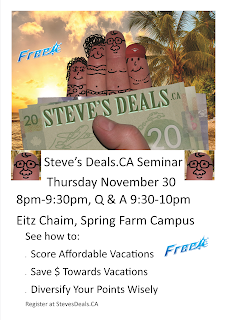 The First Ever Steve's Deals seminar is on at Eitz Chaim Elementary School on York Hill Boulevard in Thornhill. Find out how to score affordable vacations, save money towards vacations and how to diversify your points in the most lucrative way! Find Sign up for free registration here! HOT!! Less Than 2 Hours Left For TWO SUITS FOR $150 USD Total! Jos A Bank regularly has Black Friday/Cyber Monday deals and this year is no exception. You can get clearance suits that sell as high as $699USD for $99. First go to EBates.com to get 4% cashback for going through EBates to get to Jos A Bank's website. Then, if you place two in your cart (the same or a different style suit), you'll be over $150--then use promo code "CYBER" to get an additional 20% off. $699 down to $99 down to $79, and then with 8% cashback makes each suit around $80! Here's the link to EBates. Sign up if you haven't yet. Then, go to Jos A Bank through the search bar of EBates-and you're on your way to a great deal! You can have them shipped for free to a Jos A Bank store nearby, such as the one at Walden Galleria in Buffalo. That way, if you're unhappy with it, you can return it right there in the store after trying it on! ONE WEEK 'Til The First Ever Steve's Deals Seminar! I'm having my first ever Steve's Deals seminar in only one week! Click here for more info! Registration is limited. Book now! Do You Wish You Had A US Address To Ship Things This Black Friday? There are 3 options for those of us who don't live in the States but want to avoid shipping fees to Canada when taking advantage of Black Friday deals in the States. 1: Ship to a friend/family member-if this works for you--either because they're willing to bring back the items under their personal exemption when coming into Canada, then great. If not, and you're planning a trip at some point, and nothing is time sensitive that you're buying (buying clothes or shoes that may not fit when you only have 30 days to return it for free with Amazon), then you can bring back $800CDN per person after being gone for 2 days or longer. The exemption if $200CDN for an overnight, but with that one, if you buy, say, one item for $201, you MAY have to pay tax on all $201, while if you're gone for 2 days or longer, and you bring back one item worth $801CDN, you only pay tax on $1. 2: Ship it to a hotel-most hotels will accept packages and hold onto them for you even if you aren't slated to arrive for several weeks. Check with the hotel first before you do this. I've once come upon a Choice hotel in Buffalo that charges per package and more depending on how long they hold onto it. 3: A US address that is your own--e.g., NYAddress.ca. They give you a suite number (not a P.O. Box number) that any company will send to, along with their address. You have up to 4 months to pick it up at no additional cost, and then you only pay $2.95USD per package when you arrive there and show ID. 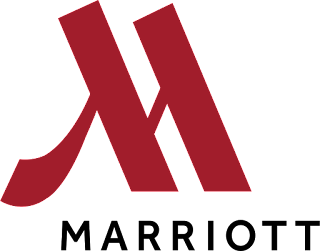 Another 1K Marriott Points For Free! ACT BEFORE 8PM!! Answer the following NFL trivia question through Marriott's Twitter (click on the above pic to be taken to the Twitter page), and get 1K Marriott points! The answer to provide is 16 #RewardsPoints . Answer by 8pm ET tonight! You must have a Twitter account linked to Marriott. It's worth it considering they've been doing this 1K point give away for weeks and likely will for a few weeks more, as long as the NFL season is on, and perhaps right up to the Superbowl! 11 Days 'Til The First Ever Steve's Deals Seminar! I'm having my first ever Steve's Deals seminar in only 11 days! Click here for more info! Registration is limited. Book now! VERY HOT!!! Buffalo to Miami for $40-$48USD Return, Taxes In? YES!! Click on the pic above to be redirected to Frontier Airlines' website. Act FAST!! Fly November 28-February 14th out of Buffalo Airport with Frontier Airlines, and fly for $20 each way on select flights! This includes (of course) late January and early February! Yes, with Frontier, you have to basically pay for air and a closed window (LOL) but seriously, you can take one bag with you on flights that can fit under a seat. Checked luggage is cheaper than full size carry-on ($35 compared to $25) when you book it when you book your ticket. Frontier has been around for years, but they expanded their routes with 4 new routes out of Buffalo back in July, and clearly they want to stay competitive! A round trip bag, in CDN$, will cost you around $75 per bag. 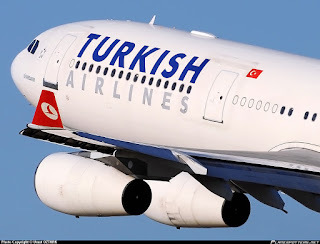 The flights are at very reasonable hours too! Toronto to Vancouver, Calgary, Edmonton, and Kelowna return from $202 Taxes In! Westjet is selling tickets to Vancouver from $202 for dates departing Toronto from January 9th to early March 14. Tickets to all those cities (except Kelowna from $305) are $202-$203! Lately, I've been finding the Matrix ITA Software search is quite inaccurate for prices, despite being powered by Google, while Google flights is more accurate. Use Google flights to find the flight for you! The flights seemed to be departing Mondays and returning between Monday and Wednesday. Use this link to see not only one example but if you click on a date on the January 9th date near the top of the screen, the availability calendar with prices for all the dates will open up. This post is partially a review of what you may or may not already know from Steve's Deals or other sources. AMEX offers instant transfers of points in Canada from AMEX to Aeroplan. A gold or platinum rewards card (personal or business) offer Membership Rewards points that on the AMEX website, you can make the transfer from. SPG offers normally offers 25K Aeroplan points (a 20% bonus) for every 20K Membership Reward (MR) points you transfer, but until December 11th, you can get a further bonus that is equivalent to 62.5%! You'll have to wait until as last as the end of January to see the bonus points post. If you transfer 20K SPG points to Aeroplan, you'll end up with 32.5K Aeroplan points! To get this 62.5% bonus, you MUST transfer SPG points in 20K point increments; otherwise, you'll lose out on the 20% bonus for increments of 20K that SPG normally offers. Currently, there are no good deals with ANY Aeroplan cards out there other than the CIBC Privilege Visa, offering 50K Aeroplan points, but you need to have a household income of at least $200K for that one--and if you lie and they ask for proof, you could be BLACKLISTED by Visa. Not to mention the hefty $399 fee. You're better off getting an AMEX Platinum Business card through my referral, getting 75K MR points, which transfer to 75K Aeroplan, and write-off the $399 annual fee. The regular bonus with that card through their website is only 40K--not worth it. With the AMEX Business Platinum, you can lounge access, 1.25 points per dollar on EVERY purchase, and SPG Gold status when you call them at 1-88-625-4990. Gold status with SPG gets you Gold status with Marriott when you link your accounts. That gets you free upgrades when you arrive at the hotel, and if you call a general manager of a hotel, and book the stay on points, you may get them to agree to upgrade you ahead of time; especially if you're staying at a long-term stay property such as a Residence Inn or TownePlace Suites which have full kitchens and up to 2 bedroom suites. I'll write more about the card again soon, but for an old post on it, you can click here to read the post and apply for that card. The Chase Canada Marriott Visa card is being phased out, as SPG's card is three times more valuable per dollar at the same annual fee as the Chase card. Currently, if you apply for the Marriott card, you won't even get a welcome bonus for it--only the free anniversary certificate, for a one night stay at a category 1-5 hotel. It was only really worth getting for the welcome bonus and certificate, not for actual spending on the card. Marriott does offer a Nights & Miles program, but you'll need 270K Marriott points or 90K SPG points (transferred over to Marriott) to take advantage of it. It's a superb way to get a free one-week certificate to stay at a Marriott, category 1-5 property AND a bunch of airline points for several different airlines, of which in Canada, there's no easy way to get those airline points (example: Southwest, Jetblue, United) without flying them and paying cash. Ewww. Click here for more about the Marriott/SPG Nights & Miles program. And no--you cannot use the Miles & Nights program in conjunction with any other bonus offer. Click on the pic above to register! Steve's Deals is having its first seminar, and of course, it's FREE to attend! Learn the finer points of how to score affordable vacations, save money that you could use towards those vacations, and how to diversify your points wisely. Feel free to bring a laptop or paper to take notes. No recording devices please. Today's Marriott Twitter question is How Long is Each Quarter in the NFL? Click here to be taken to the Twitter page to respond. Get 1000 Marriott Points, which you can convert to SPG and extend the life of your SPG points (worth 333 SPG points).